Unfortunately, nobody gave the right answer. But it means that tomorrow's prize fund will be $50! You need to solve the rebus! You can post your answers in 1 hour (at 3 p.m. UTC) in this thread. Notice! Only correct answers published after 3 p.m. UTC are counted. The first one will receive $25 on his ETH wallet today. Compare two pictures of Alphy the Bull and spot the differences. You can start posting your answers in 1 hour - after 3 pm UTC! You can post your answers in 1 hour (at 3 p.m. UTC). The first person who guess 6 movies will get 25$! The right answer is Forrest Gump. You have 2 min for posting your answers! The right answer is 13 Alphy the bulls! 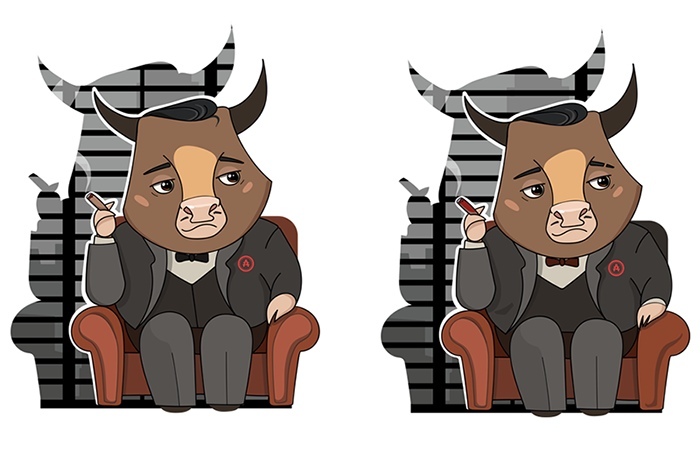 You need to count how many Alphy the Bulls in the picture and clarify where he is! The first one will receive 25$ on his ETH wallet today. Congratulations to Etamin, she gets 50$! You need to solve 2 rebuses! The first one will receive 50$ on his ETH wallet today.